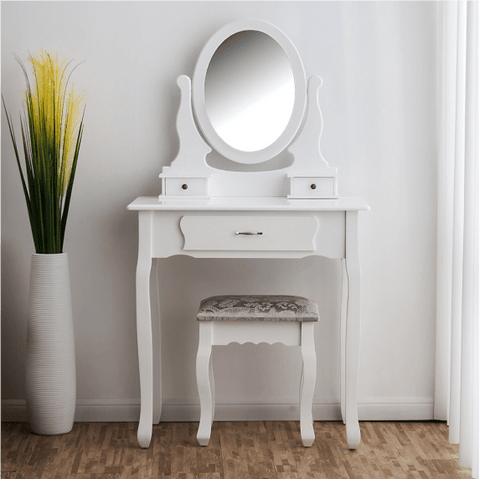 Classic white dressing table set with oval mirror, and a jacquard cushioned stool. 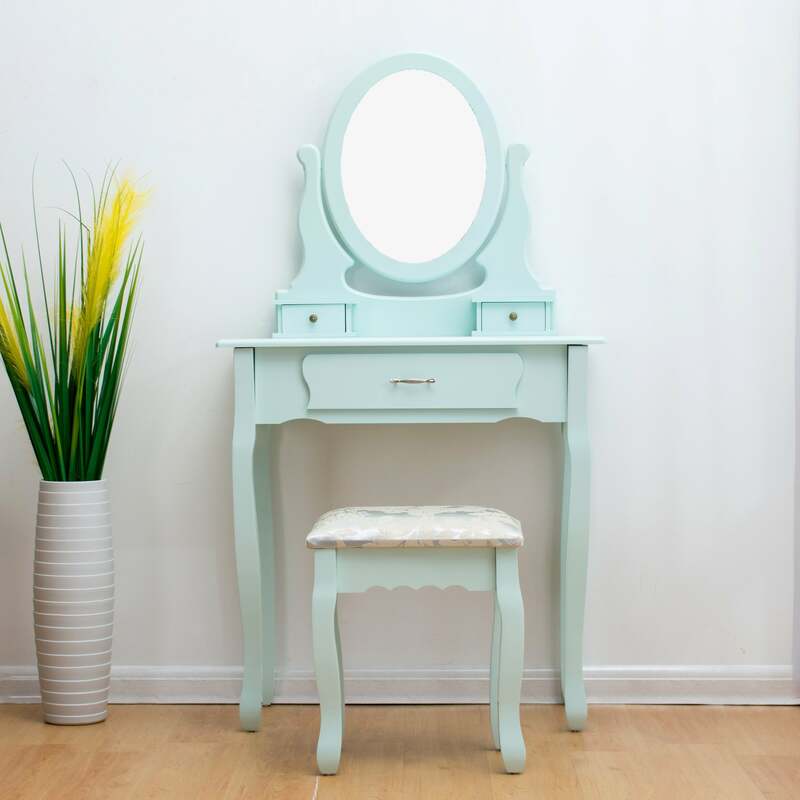 Oval mirror and 5 storage drawers of various sizes provide perfect space for your daily makeup routine. High quality white painted MDF, easy to wipe clean with soft cloth. Mirror (W x H): 27 x 40 cm / 10.6 x 15.7 in. Stool: (W x D x H): 38 x 28 x 44 cm / 15.0 x 11.0 x 17.3 in. Table top drawers (W x H) 16 x 8 cm / 6.3 x 3.1 in. Item is flat packed in 1 carton with assembly instruction and allen wrench provided. Partial assembly required.